Apple is now replacing cracked iPhone 5C screens at local stores near you. Last week a report suggested that in-store screen replacement for iPhone 5C would come as soon as Monday. Turns out the rumors were spot on; an Apple representative told TechRadar the $149 (about £90/AU$169) in-store screen repairs for the cheaper new iPhone began January 20. We were also told customers with devices enrolled with AppleCare+ protection plan get a discounted fixer-upper for $49 (about £29/AU$55) - a lump to pay for a new sheet of Gorilla Glass, but it's better than walking around with a clearly broken phone. Cracked 5Cs can be brought in store for display repair or complete replacement. The Apple rep also pointed out that while the screen is a simple fix, Geniuses will have to take a consider alternatives for seriously damaged handsets. If there are additional broken parts like a cracked plastic shell, it could mean extra fees and possibly sending out the phone to dedicated repair facilities. 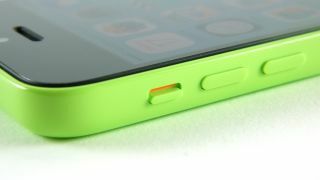 Shattered screens have been a bane for Apple mobile users since the first iPhone, but now users have the option of in-store repairs for two handsets: the iPhone 5C and iPhone 5. Formerly, owners of shattered screens were left with the data-losing option of replacing their entire handsets. The Apple rep told TechRadar the on-site maintenance is rolling out to Stores in all territories. Here's what you need to know about the iPhone 6!